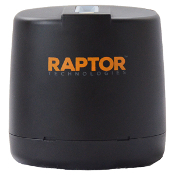 The Raptor Duplex Scanner is the most advanced technology for scanning government-issued IDs. The Raptor Scanner bypasses the problematic holograms and background graphics on IDs by scanning the 2D barcode or the Machine Readable Zone (MRZ) on the back of government-issued IDs. The scanner simultaneously captures the photo on the front of the ID. The result is a highly accurate scan.